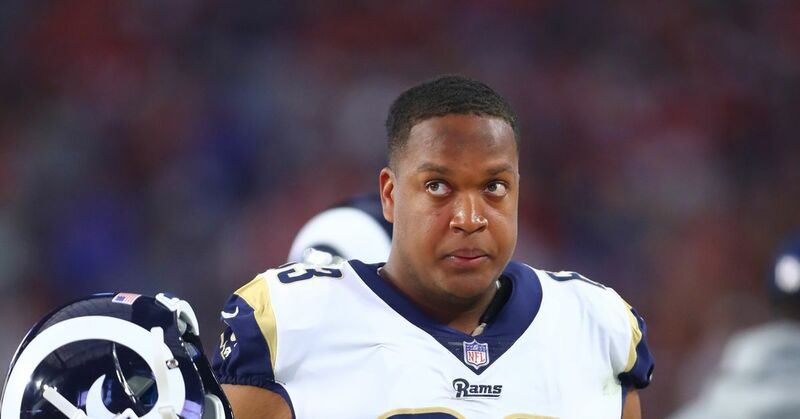 The Los Angeles Rams have re-signed two of their backup offensive tackles in OT Darrell Williams and OT Cornelius Lucas. Source: Darrell Williams signed a one year with #Rams. Williams was the primary backup at tackle last season behind LT Andrew Whitworth. A UDFA from the 2015 NFL Draft, Williams struggled with injuries in his first two years dislocating his wrist in November of his rookie season and landing on IR as the season began in 2016. That he fought back from those injuries to make the 53-man roster at least gives you a sense of his tenacity. In advance of offseason conditioning, the #Rams are signing back OT Cornelius Lucas, source said. He started one game last year. The secondary backup at tackle behind RT Rob Havenstein last year, Lucas was a UDFA following the 2014 NFL Draft who spent his first three years with the Detroit Lions. The Rams signed him mid-September last year amid a wave of roster transactions. So we’ve got two things to consider. One, the role the two played last year and two the scope of need at the position heading into the 2018 NFL Draft. As for the former, we have a decent idea of where they stood last season. Williams was the primary backup as he saw more time on the line as well as on special teams where he was a regular. We’ve also got the Rams’ Week 16 game in which the Rams rested their starters against the San Francisco 49ers with a playoff game looming. In that game, Williams started at left tackle while Lucas played on the right. I don’t see enough taking place in the last three months to disrupt their roles to this point. That being said, we’re headed into the draft. I wouldn’t be surprised if the Rams came out of next Saturday having drafted a tackle. I’d be surprised if they don’t add at least one via the combination of the draft and the undrafted free agent run thereafter. No word right now on the contracts outside of Williams’ deal being a one-year appointment. But as it stands, the Rams have their offensive tackle depth chart from 2017 intact with the 2018 offseason officially underway.